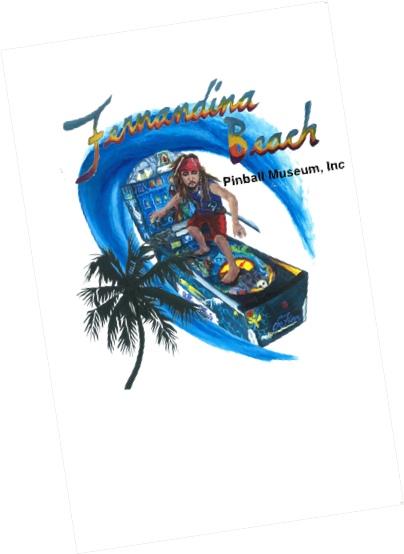 Fernandina Beach Pinball Museum, Inc.
Fernandina Pinball Museum, Inc is dedicated to preserving the legacy of pinball from the early years of the twentieth century to the present. Mechanical pinball machines debuted in the 1930s and are still around in electro-mechanical models today. Many of us baby boomers recall happy times playing these machines for a quarter a game back in the 1950s and 60s. We spent hours trying to hone our skills and get those high scores that paid off in free games, tickets or sometimes even cash! Today, you can relive some of that past, but also enjoy the newer machines which are as sophisticated as any electronics on the market. What is so cool about pinball is that it incorporates so many disciplines: art, music, theater, science and technology. The new machines being produced today represent almost a hundred years of progress. Come play these great machines from the past and present in a great environment where you can play as many machines as you like for as long as you like.,,,,,,,,,at least until closing time!